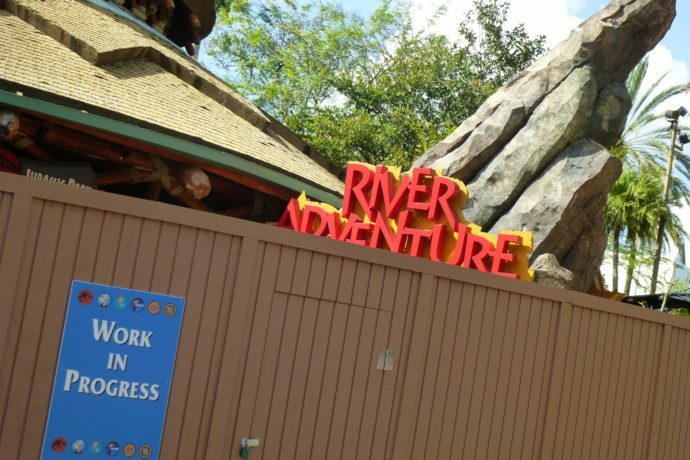 The Jurassic Park River Adventure is still down for seasonal maintenance at Universal’s Islands of Adventure. It appears that the water has been drained to facilitate cleaning and maintenance work. 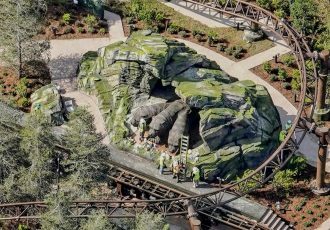 Other areas outside of the ride are also receiving some love such as planters and brickwork around the land. 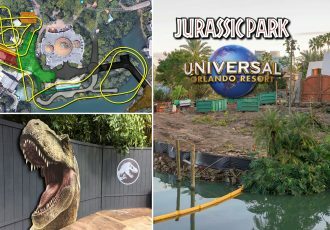 With the Jurassic World film less than 100 days from opening it’ll be nice to have everything back in working order on the ride, including, hopefully, all of the animatronic figures’ rubber skins, which need to be replaced and repaired quite often in the Florida sun and rain. 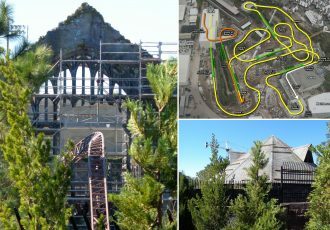 Check out the photos below, of both the ride rehab, and some sights around the area. I was fortunate to meet a baby triceratops on my travels and you can see a video below. Rockwork and waterfalls are looking good. All the white streaks have been removed. Water effects still off. Check out the video of me petting the cute baby Triceratops during my visit! 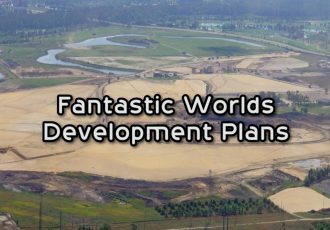 Also, be sure to check out my recent post about the new Water Park coming to Universal Orlando!